Hello Darlings, it has been weeks since I first wrote this post. I was in a twilight zone. So desperately I wanted to share everything that was happening but had so little courage to do so. Now that everything is easing slowly, I have the will to share a moment in my life that may have been one of the toughest thus far. Why you may wonder? Because vulnerability takes courage and strength. We all go through difficult times but socially we are expected to put on a fun facade. Regardless of what we feel, we never want to allow people too close to see the real picture. So here it is with hopes that maybe someone who is dealing with a difficult time may find comfort. Staring at the blank screen of my laptop, this week and month have knocked the wind out of me. For the first time in my life, I feel defeated. The accumulation of events over the years, the emotions that I have never been willing to address, the needs I’ve suppressed are all hitting me at once. It was only two days after I booked my 30th birthday trip to Ireland with my best friend of 18 years that it had to be cancelled due to a tragic event in her life. A few hours later that same day, I received devastating news of my own. In one day so much terrible has happened that it took a moment for me to realize just how numb I have been. That day I continued on with my work commitments. The facade broke the following day when I clicked that “Cancel” button on our Expedia itinerary. This was a second birthday trip I cancelled that month. First was meant to be with a group of friends; which in turn not only turned into a disaster but also broke longtime friendships as a result. Between having a difficult month with one of the clients, family emergency, broken relationships — it felt like the walls were closing in on me. I was not upset about the birthday but what felt like all the years of emotions suppressed came pouring out of me. All the discipline that I pride myself on having over my emotions was failing. For years, I was able to distance myself from emotional needs and keep my composure in moments that no reasonable person should. I took pride in feeling nothing and staying focused. I had somewhat of a meltdown. I started this site to channel my energy into writing and I’ve always prided myself on being honest and open. Somewhere along the way, the brand came before the person. Looking at my social, it’s business as usual. Posts went up as scheduled, client meetings were done. Even looking at my perfectly curated feed, it is all through rose coloured glasses. I would have never allow myself to share my personal life with you as I saw it as a weakness. Only now do I realize that being open about my weaknesses takes strength. Sharing not a perfect life story is what truly matters. The authenticity. So here I am telling you that I’ve hit a wall and I’m not sure how long it will take to bounce back. Surprisingly in the midst of what feels like the eye of a tornado, I feel some form of calm. I feel strong. Yes, I am devastated but I feel grateful and optimistic. To prevent my mind from spinning out, when all I wanted to do is disappear and scream. I practiced the following with the same discipline that I before maintained my lack of emotions. Breath is everything when in panic mode. Pay attention to it. Short and frequent breaths excelerate the panic. Be mindful of your breathing and take long, calm breaths. Stay grateful because the only way to look past the bad is to focus on the good. As cliche as it sounds take note of what you do have in life rather than what you are losing in that moment. Be alone because sometimes you just need it. I am spending time alone and when hurting it is essential to find comfort in your own presence. Seek support from those you trust. Do not be afraid to turn to people. 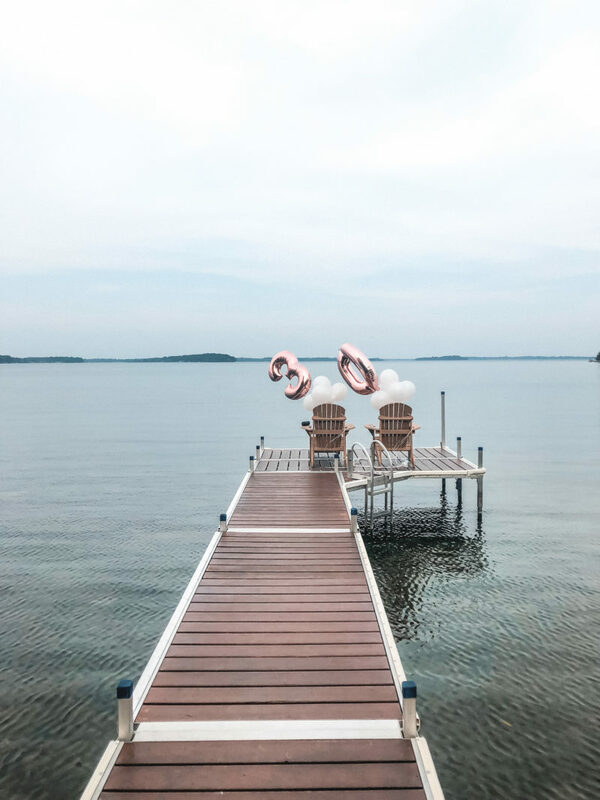 On my 30th birthday I decided to find a beautiful retreat on a lake to spend the Labour Day weekend with my parents. It has been tough, but I’ve also recognized that I’ve learned more self awareness in this month than have in an entire year. During these times your mental strength is everything and how you manage your thoughts and prevent yourself from panicking is how you will walk out of such experience. You can walk away with strength or defeat. It is mind over matter. So discipline your thoughts and how you perceive scenarios. Things have slowed down and I am finding the joy in everyday again with positivity. There are still moments of hardship especially when a loved one is struggling or relationships are lost, but I have also learned to embrace my emotional responses rather than punish myself for them.